The full edition of Runner’s Guide to London is in the final stages of proofing and design and will be released in early 2015. It is 300 pages, full colour, stacked full of stunning photos, with 100s of runs all over London—enough to keep you and your running shoes entertained for years! Visit the dedicated London website here—complete with sample routes, interviews, a London race calendar and guest blogs from London runners. 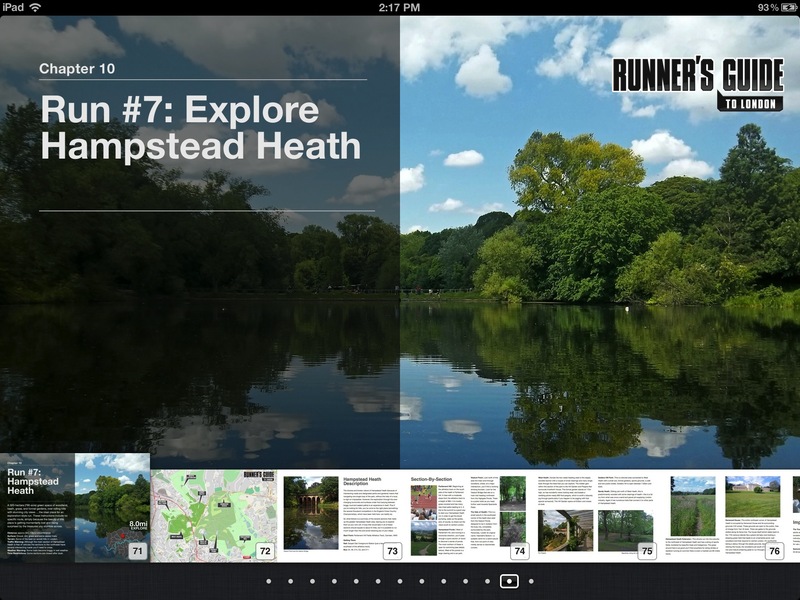 The concise Runner’s Guide to London: Travel Edition (82 pages, plus loads of yummy pics and maps) is out now on iBooks and Kindle! 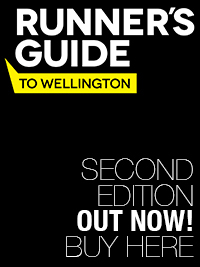 At only US$2.99 (or £1.99) it’s an absolute bargain and the perfect warm up to the full edition to be released later this year. 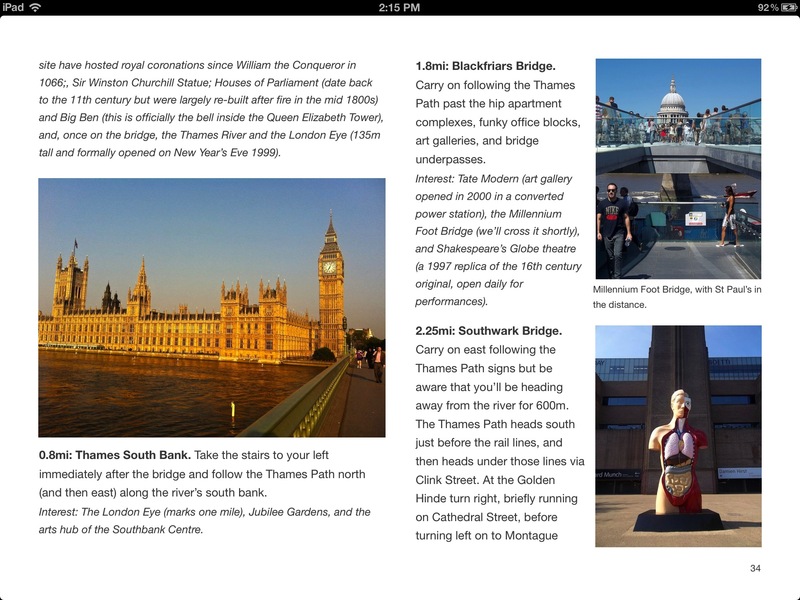 Description: The Runner’s Guide to London: Travel Edition is the must-have book for any runner visiting London. 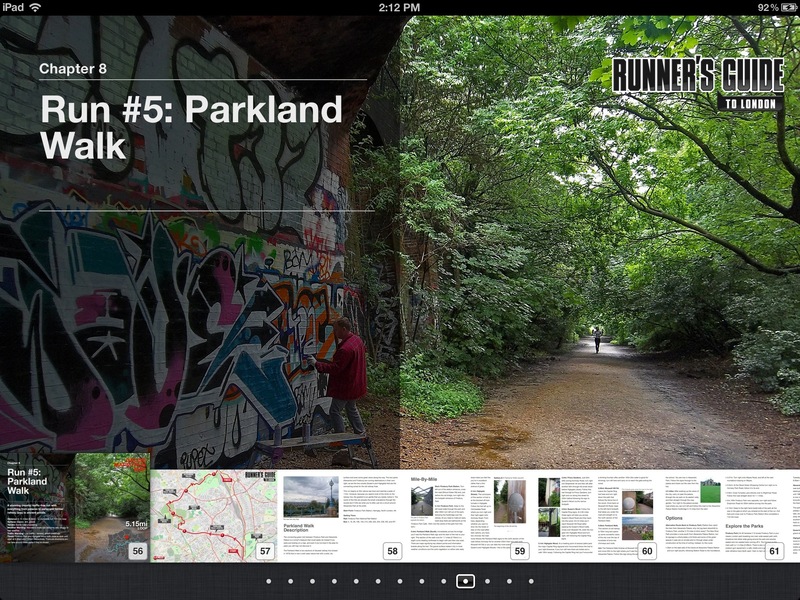 It includes seven of London’s best runs, complete with easy-to-follow instructions, stunning photographs, maps, elevation charts, links to online maps (which can be downloaded to your mobile device), and even links to guided video tours. On top of this, the book is packed full of vital travel information and runner specific historical facts. 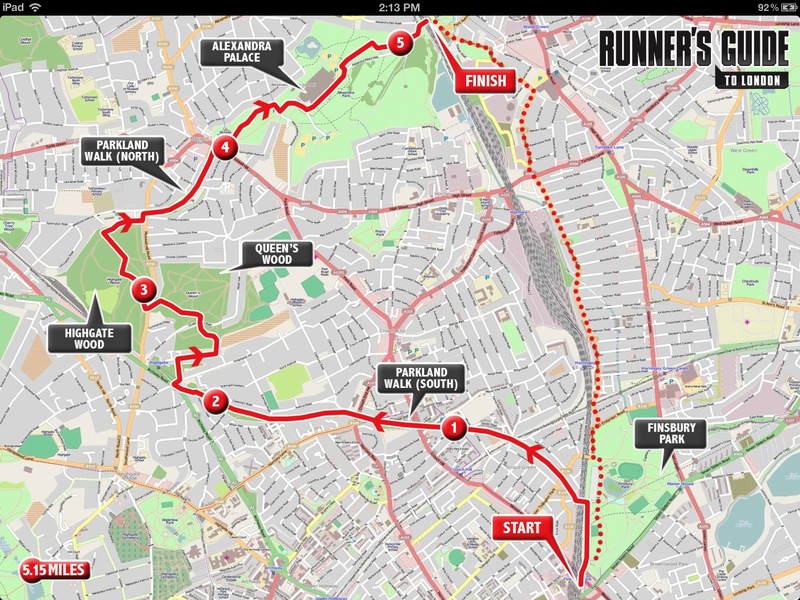 Dig deep into the heart and soul of running in Britain’s capital city. Connect with clubs, enter races, and know exactly where the bathrooms are before you step out the door. Below are some screen shots from the book.